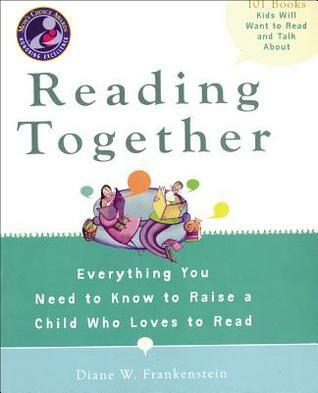 This handbook for reading with children provides everything parents and other caregivers need to know about reading aloud and discussing books with kids. In a brief front section, Frankenstein lays out her advice for selecting, owning, and reading aloud children's books. The next section, the longest of the book, presents profiles of 101 different titles. Each of these includes the book cover, a brief synopsis, a related quotation, an observation the author made, a "souvenir" concept or lesson to be taken from the book, a list of themes explored by the book, possible discussion questions, and a list of read-alikes. The final portion of the book provides more general questions across a variety of themes that can be used with any book that involves the given topics and a series of additional themed booklists across a variety of subjects. Over the past few months, I have read several books about books: The Read-Aloud Family by Sarah Mackenzie, The Intentional Bookshelf by Samantha Munoz, Our Library by Phyllis Fenner, and The Book Whisperer and Reading in the Wild by Donalyn Miller. Unequivocally, Reading Together is the best of the bunch. Frankenstein has obvious experience suggesting books to a variety of families (not just her own), and she wastes no words in concisely and clearly explaining how best to evaluate books and share them with kids of all ages. The books for which she provides profiles are a varied collection, covering different topics, comprehension levels, developmental phases, cultures, and interests. She gives just the right amount of information about each book to inform parents about content, and to entice potential readers to select that book. The list is also curated. It's not simply a list of every book she has read; instead, it represents the books she truly recommends and which she has seen families enjoy. This book inspired me not just to ask my kids more questions about the books we read, but also to consider making profiles like the author's for books we love that she didn't include. It's just an all-around excellent, practical, well-informed manual with something to offer every adult who reads with kids.